A few years ago, I started to imagine that it would be cool to take my older three children to the Conference Center for General Conference just as soon as the youngest of them turned 8 years old. Then we moved and things got too busy, but this year I remembered that goal. That child is turning 10 this month, so I entertained the idea that I might take the three oldest and do General Conference in Salt Lake for once...make the "pilgrimage" so to speak. However, upon the mere mention that we might break with tradition and go on a little/big adventure to the conference center, this same 10 year old child started to cry. What was she so upset about? She didn't want to miss watching General Conference at home! You see, all of the work we've put into making Conference-watching a fun, special, memorable, and meaningful experience has also made it a sacred experience. And my kid didn't want to miss out on that! I realized as I was bearing my testimony about this in church today, that she was on to something. When we watch General Conference all together as a family, when we block out the world for a whole weekend, it's holy time spent together. 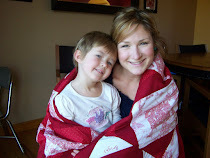 Knowing that the home is the most sacred place on earth, second only to the temple, and knowing that most of my children are too young to enter the temple...General Conference is a unique and sacred opportunity for our family to feel the spirit so strongly together in our most sacred place, our home. So, why would we give that up? I'm not saying we'll never go to view GC in the Conference Center, we just don't feel the need right now. As Elder Andersen mentioned last Conference immediately following the Solemn Assembly for President Nelson, the spirit is just as strong in the Conference Center as it can be felt in homes and even huts wherever people are listening around the world. I knew he was correct before the words even left his mouth. We felt it too. And we're looking forward to feeling it again, together, in our home, this weekend. I am so grateful to belong to The Church of Jesus Christ of Latter-day Saints, the only true and restored Church of Jesus Christ, the same church that Christ instituted when He was on the earth, and to be lead by a true Prophet of God. Every good gift, every happy moment we've shared as a family has come to the extent that we have tried to live the teachings we've heard in General Conference, and we will continue to do so. 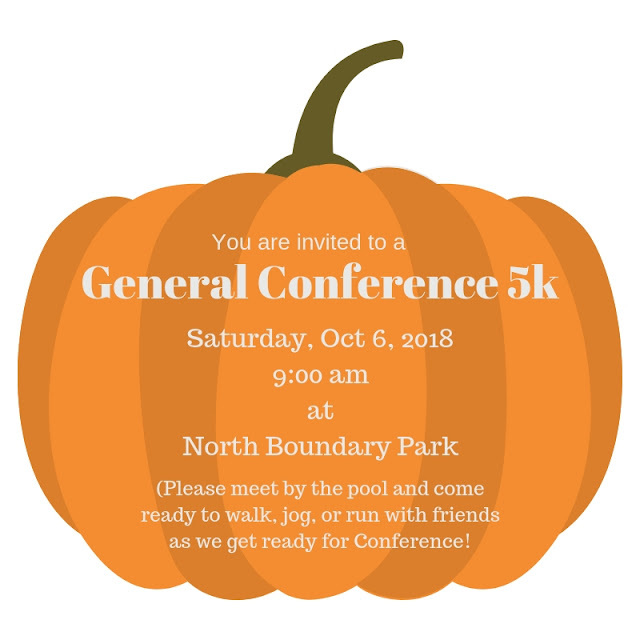 And just a PS - We added a new GC tradition last Spring - a General Conference 5k. We met friends at a park a few hours before the Saturday AM session, anyone who wanted to come, and did a fun run/walk....a GC5k. This year we're hoping to make some signs to put along the path for runners to read, quotes from Conference and such. What special General Conference preparations are you making this week? I'd love to hear!